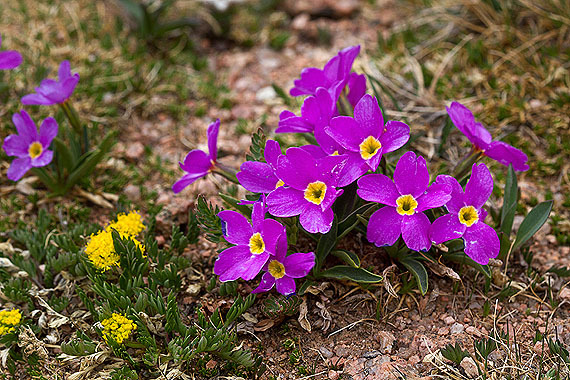 Primula angustifolia is a common plant found in subalpine meadows up to alpine tundra. Plants are 1 to 4 inches tall. 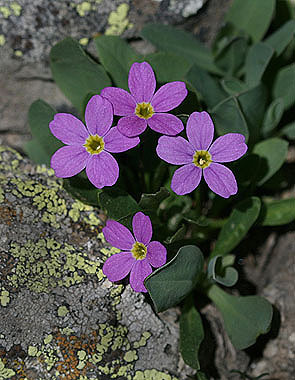 Compare to Primula parryi, which is much taller and grows in wet areas such as stream banks and seeps.